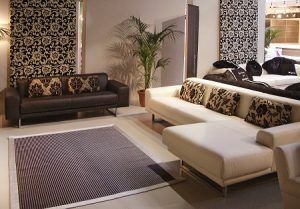 What is a well-designed room without a beautiful carpet to complete the look? Carpets have always been regarded as important part of the interior. As such, it is imperative to keep them well-cleaned and maintain them in decent condition. Otherwise, they just become a burden for the whole place. That is why we at The Top Carpet Cleaning provide such well-designed carpet cleaning in Knightsbridge all other London areas within M25. Getting the carpet cleaned to perfection is now possible with us on the case. Normally, you would expect vacuuming to do the trick, but sadly that isn’t the case. A vacuum cleaner can only address the surface dust but leaves behind the deeply ingrained spoils. In order to clean more thoroughly, a more specialised approach is needed. Our steam cleaning gear and knowledge guarantees fully sanitised carpets, regardless of what material they are made of. This means no more annoying allergens and bothersome dust. By taking care of that, we will essentially restore the carpet piece, breathing new life into it. 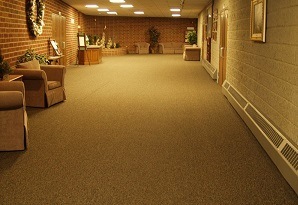 Not only will the carpet be more sanitary, but also look its best. 020 3322 8944 is your ticket to the best carpet cleaning service in London. We value the time of each of our clients. That is why we are always quick to work through any enquiry and provide additional information. Upon contacting us on at 020 3322 8944, you can expect to find professional customer support representatives that are quick to respond to all of your questions. As a company with many years of experience, we have learned that quick booking is desired. So our carpet cleaning service can now be enlisted after a single call or an email. That is why we are the preferred choice for a growing number of clients in Knightsbridge. We can promise that we are only going to improve. Are you up for a shopping spree in Knightsbridge? Knightsbridge is located south of Hyde Park and is among the two international retail centres listed in the London Plan. The area is mostly famous for its expensive shops, as well as department stores of Harvey Nichols and Harrods. Apart from these 2, visitors can find other opportunities for spending, such as flagship stores of British and international fashion boutiques. The area definitely caters to wealthy individuals thanks to the banks and many of the capital’s most renowned restaurants. There are also some open spaces and opportunities for a stroll in the north part of the area in Hyde Park and the Serpentine Lake. To top it off, some of London’s greatest museums are conveniently located on a single thoroughfare. The area is served by plenty of bus routes as well as two tube stations: Knightsbridge (on the Piccadilly line) and Sloane Square (on the Circle and District lines). The best carpet cleaning in Knightsbridge is now available for hire. Call 020 3322 8944 for a no-obligation quote.